Jeremy has been consistently named to the New York Super Lawyers list, a Thomson Reuters lawyer rating service, since 2014. Jeremy has been named to the New York Super Lawyers Rising Stars list, a Thomson Reuters lawyer rating service, for lawyers under 40, for 2011 - 2013. Jeremy M. King concentrates his practice on insurance coverage actions and other civil litigation matters. Jeremy has extensive involvement in complex insurance coverage disputes in numerous states across the country. Jeremy’s work on cutting edge insurance issues has given him broad experience in complicated multiparty insurance litigation and deep insight into the strategies necessary to bring these complex cases to a resolution. Jeremy’s practice focuses on representing corporate policyholders in disputes with their insurers. He has substantial trial, arbitration, and appellate experience advocating on behalf of policyholders. He has handled insurance coverage disputes related to asbestos liabilities, advertising liabilities, bad faith claims handling, business interruption (including extra expense and contingent business interruption), construction defects, copyright infringement, directors’ and officers’ liabilities, employment-related liabilities, environmental liabilities, errors and omissions claims, natural disasters (such as floods and hurricanes), products liability claims, product recalls, qui tam and False Claim Act litigation, and representation and warranty claims. 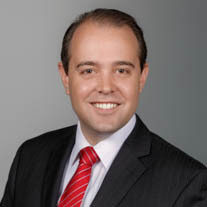 Jeremy also has extensive general commercial litigation experience, including securities-related liabilities, anticompetitive practices, fraud, partnership disputes, and general contract and indemnification matters. His efforts have resulted in hundreds of millions of dollars of recoveries for his clients. Representation of a cruise and marine consortium with respect to crafting solutions for group insurance needs. Representation of a large insurer in connection with multiple claims arising out of a real estate development project. Representation of a large food production company resulting in recovery of extensive business losses, including business interruption and contingent business interruption, caused by Hurricane Katrina. Representation of a large flavors and fragrances manufacturer in connection with ongoing multistate product liability litigation resulting in payment of considerable defense costs and indemnification for hundreds of settlements. Representation of a company with extensive CERCLA liabilities resulting in significant insurance recoveries. Representation of an energy company seeking coverage for clean air act liabilities under a specialized pollution policy. Representation of a large international shipping company in connection with claims arising out of breaches of certain representations and warranties. Representation of the former CEO of a luxury destination vacation club in connection with directors and officer and employment practices liability policies resulting in full payment of defense costs and full funding of an underlying settlement. Representation of an investment company in connection with pursuit of a claim pursuant to an accountants malpractice liability policy. Representation of a former lead pigment manufacturer in connection with recovery of millions of dollars spent defending multistate product liability litigation.